Portable devices help you to share stuff every day. No matter where you are, you can always share things with your family or friends. The storage capacity of these portable devices can be increased by inserting microSD cards inside them. An SD (Secure Digital) card is a digital storage device which is often used in portable devices such as Mobile phones, Digital cameras, etc. The small size and light weight of SD cards make them easily fit inside these devices. Sandisk microSD cards support your digital cameras, Smartphone or tablet to give high performance and capacity, and make sure that your once in a life time moments will always be with you. Whenever you feel that you need more storage in your device for high resolution pictures, videos, etc. you can simply add more capacity Sandisk Sd cards inside them. The capacities of these SD card comes between 4GB to 128GB. 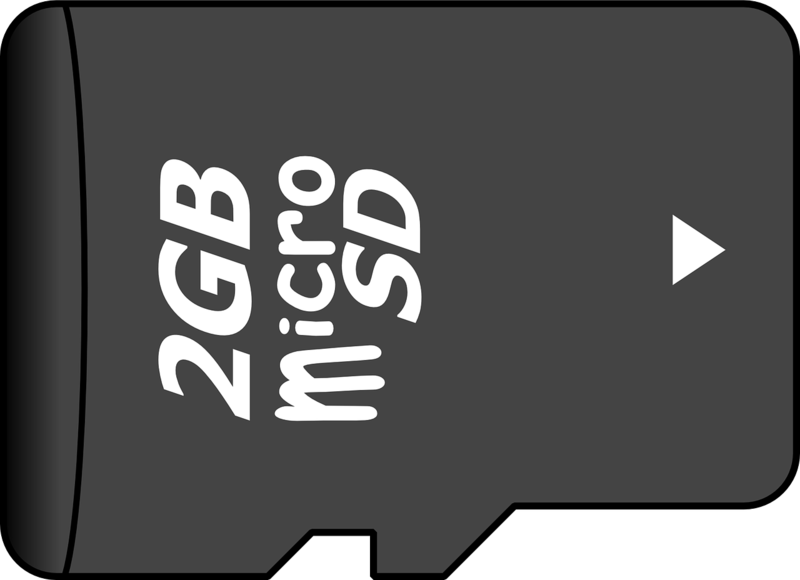 These microSD cards are reliable and allows you to transfer data from your device to any another storage media. At times, when your data card is full or corrupt, you need to format it for a fresh usage and you start looking how to format SD card. Formatting an SD card will delete all the data from the card, clean it and remove many issues as well. If you format your data card after copying stored data into other storage media, it will take very less time and also eliminates all the errors which you might have faced while using it. You can format your Sandisk microSD card in any computer or portable device. However, every operating system such as such as Windows, Mac OS X, or on your Android device, has its own settings to format a SD card. Important Note: If possible, it is strongly recommended to keep a backup of your SD card data before you move ahead to format it. Lets suppose, you have formatted SD card accidentally and want to get back your data which had few important Photos or Videos. In that situation you can download and install a reliable Photo Recovery Software. Connect the Sandisk SD card to your system by inserting it into the SD card slot (if your system has one) or you can use an external USB card reader. In case you are using microSD card then you will require an adapter to connect it with the standard SD port of the system. You can also link a portable device to your system such as mobile phone or digital camera via USB after inserting the SD card into them. This will also act as an SD card reader. Now, open the Windows menu and choose Computer in Windows Vista/7 or My Computer in Windows XP. In case you are using Windows 8 or 8.1, type ‘computer’ and choose computer an icon form the search results. Find the SD card from ‘Devices with Removable Storage’ list and open it. Verify the SD card whether it is the right one or not before you format it and return to the computer screen. Now, right click on the SD card icon and choose ‘Format’ option from the pop up list. A format windows will appear, here keep the ‘Capacity’ and ‘Allocation unit size’ set as default. Choose the file system, different systems use different file systems. This is the way how file stored on the card. Always choose FAT32 as the file system in order to read an SD card by any device. It enables content of the SD card to be ready by Windows, Mac, and Linux computers, cameras, phones, printer devices, etc. Quick Format: Select this check box, it will format your card without checking hardware errors. If you suspect any type of error in your SD card do not check this box. The process will be start and end up with a blank Sandisk card which you have inserted. Connect your SD card to your Mac system through an internal SD card port or a USB card reader. In case of microSD card you need you connect it with an adapter which allows your SD card to plug into the standard SD card port. The SD card will show on desktop automatically after insertion. Now, open the Disk Utility program from Applications. Choose the SD card you want to format from the drive list in the left pane. To format the SD card select Erase tab after selecting an SD card in the main window. Choose FAT32 from the Volume format drop down menu and type the name of the SD card in the required field. Select Erase to start formatting, it will ask you to confirm. After completion of formatting process you will get an empty SD card without any data. Always make backup of your stored files before you format the SD card. Insert Your Sandisk MicroSD card in the phone. The SD card slot always located in the different positions in different mobile devices. Find the slot in Android phone and insert the microSD card. If you are using a tablet, the SD card slot must be on the side of the tablet. Find the exact location and insert your SD card. Now, go to Menu button on your device and open the ‘Settings’ option by tapping the menu button on the home screen. Choose ‘Storage’ form the ‘Settings’ button. Now, ‘Storage’ submenu goes to the SD card section and tap ‘Format SD card’ to initiate the formatting process. In case your SD card is locked, enter the PIN to start the format. After formatting will be started. It will only take few seconds to clean your SD card. After successful formatting your complete data will be lost so it is better to take backup of your important files before you start the formatting SD card. At times, you do not intentionally format your memory card, and after successful format lose your all the important data. This could be a worst situation, and you must be started looking for a solution if it happens to you. Don’t worry there are many reliable SD card recovery tools available, which can recover your complete data from a accidentally formatted or deleted SD card. These professional tools are developed with highly efficient algorithms which can identify your deleted data and recovery it back to you in its original format. You just need to install these tools and start recovery of your Sandisk SD card. Great Post! Although my SD card is not of Sandisk, nevertheless, this post helped me to format my SD card. awesome. SAVED my day! thank you! My sandisk 32 GB memory can’t formatted & deleted.please give me solution. Did you check id it’s locked or not? There’s a small switch or manual setting to lock and unlock the SD card. Please Check if it’s open.